This weekend, hoards of young women have lined up to see the movie version of Stephenie Meyer’s Twilight. While I enjoy a good vampire movie as much and possibly more than the next man, I often long for something a little less commercial. If you agree, skip the multiplex in favor of your local art house and buy a ticket to Let the Right One In. Superficially, the two films would seem to have much in common. Like Twilight, Let the Right One In is based on a highly successful first novel. Swedish author John Ajvide Lindqvist’s premise may sound similar too. The lonely, wispy Oskar finds friendship and perhaps even love with the immortal Eli. But these similarities are deceptive. Oskar is not merely lonely. He is completely cut off from all human contact. He has no friends and is constantly picked on at school. His divorced mother treats him like an annoyingly mobile piece of furniture. There is a scene in which Oskar visits his father. They play tic-tac-toe with perfect contentment. But when a friend drops by with a bottle, it is as though Oskar ceases to exist. His happy face closing up in disappointment is perhaps the saddest image in the film. In his way, Oskar is not so different from Eli, who has “been twelve for a long time.” Both are cut off from the human world by circumstances neither can change. Running counter to all of this is Eli’s deteriorating relationship with her aging, incompetent Renfield. While she obviously loved him once, she grows less tolerant as his bungling deprives her of blood and exposes her to the police. In the end, she kills him with a certain tenderness, but with little remorse. As the movie draws to a close, Oskar is forced to flee with Eli. He does so happily enough, but we can see the life—and the death–that await him all to clearly. We are left to wonder how many times Eli has been through this cycle, and if this is what she had in mind for Oskar all along. Let the Right One In makes beautiful use of Sweden’s bleak winter landscapes and institutional apartment blocks and schools. One of the film’s central images is a pathetically small jungle-gym crusted with snow. The gore is minimal, but shocking when it appears. Most of Eli’s powers are suggested by artful misdirection and some animalistic Foley effects. The climatic confrontation between Eli and Oskar’s schoolyard tormentors is a masterpiece of cinematic understatement that put me in mind of Val Lewton’s Cat People. Both the young leads, Kåre Hedebrant as Oskar and Lina Leandersson as Eli, are superb. Like the film itself, their performances are subtle, never splashy. They are a darker Peter Pan and Wendy, a tiny thread of nascent sexuality running through all their awkward interactions. While superficially a love story, Let the Right One In unfolds with the inevitability of a tragedy. It reminds us that there is a price to be paid whenever human and monster meet. It all started with a mistake. Vampires were supposed to be evil. Spawns of the night. Supernatural fiends. At least this had been the norm for a great deal of the genre. 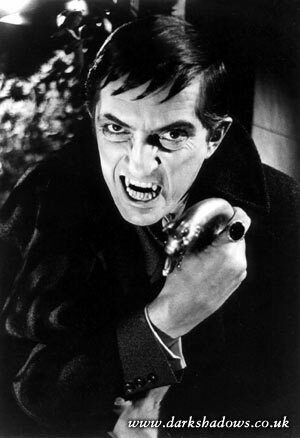 This all changed in the spring of 1967, when a third rated ABC sought to boost ratings on it’s soap opera Dark Shadows by introducing Barnabas Collins, a vampire. He was intended for only one season, and like his predecessors, was to be villainous. Afterward, torrents of mail kept the character alive. A Van Helsing type character, Dr. Julian Hoffman, was added to hunt and destroy the vampire. However a typo changed the character to Julia, filled by actress Grayson Hall. The show finally developed a love triangle, with Julia in love with Barnabas (played by Jonathan Frid), and the vampire pining away for his reincarnated love, Josette (played by Kathryn Leigh Scott). Suddenly the vampire took the lead role, even entering hero status. 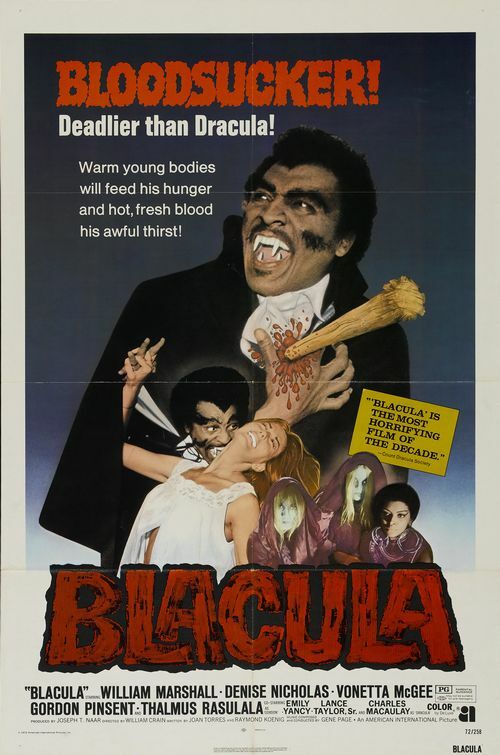 The first movie to capitalize on this new trend was Blacula. Yes, Blacula. 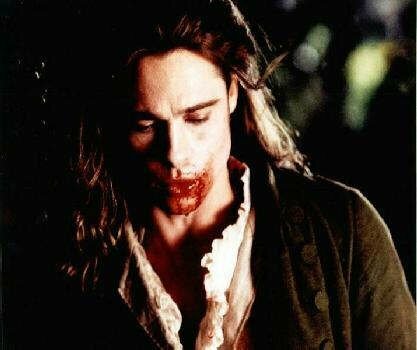 Sure it’s filled with incredibly dated attire (the vampire hardly stands out in his cape), but it also had the superb acting of William Marshall to hold it together. A similar storyline of a lost love reincarnated drives the vampire. Ultimately, his love perishes. Rather than go on living without her, Blacula destroys himself through exposure to sunlight. Fast forward to a new television series setting a teenage cheerleader against hordes of vampires. Buffy the Vampire Slayer was born. Angel (played by David Boreanaz) is different from the spawn that seek to drain humans like so many Capri Suns. He is cursed, giving him a conscience of sorts. Additionally, he becomes a romantic interest to Buffy, though it is a relationship they can never consummate. The curse that keeps Angel tame would also be reversed should he ever achieve true happiness. This tortured relationship is the main thrust of Stephanie Meyer’s Twilight novel. Edward Cullen (played by Robert Pattinson) is a self-proclaimed “vegetarian” vampire, feeding only on animals (much like Louis). He and Bella Swan (played by Kristen Stewart) engage in a boiling romance that can never come to fruition. 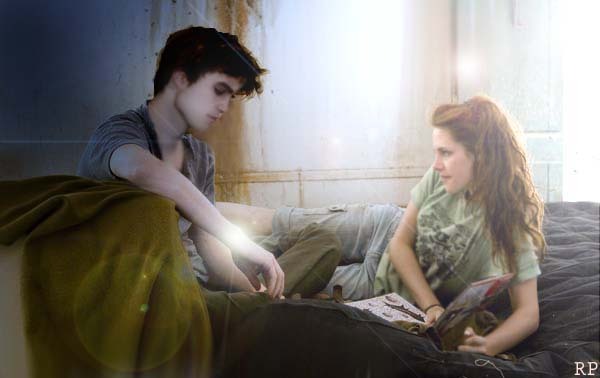 Edward must fight every instinct not to eat the girl (falling into much the same trap as Angel and Buffy). So when you read or watch Twilight, think about the vampires that came before, and led to development of the caring, hunky vampire that is Edward Cullen.